Videos have taken content marketing by storm. The power of video making for small businesses is far greater than what any other medium holds. Marketing via video has increasingly become very popular since it is far reaching and has yielded very good results in many marketing campaigns. According statistics carried out by Cisco, Video will account for 69% of consumer internet traffic by 2017. This means that Video-on-demand traffic will have trebled by that time. This is a fine indicator of its rapid growth. Online video is becoming a very popular means for people to quench their thirst for information and entertainment. Small businesses that may fail to include it as an important element in their internet marketing strategies will most probably be phased out of the market very soon. Various studies have shown that more than half of the companies in operation today are already employing this medium. A figure that can only predict the endless possibilities this type of marketing holds. Nielsen Media Research claims that 64% of all marketers are expecting video to dominate their strategies in the near future. Human behavior when it comes to video. People no longer take their time to read. We just scan through so as to get the information that we want quickly. Today, it is estimated that 80% of internet users worldwide are of this habit. We are more likely to click on a video in our pursuit of quick information. There is no other medium comparable to video in terms of potential coverage. Every month, YouTube receives over 1 billion unique visitors. In the UK, 1 in 3 Britons view a minimum of 1 online video every week. That sums up to a whooping weekly audience of over 20 billion people. 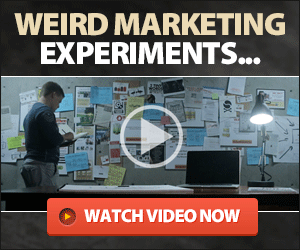 There are numerous success stories of videos that have gone viral. For instance, one of Volkswagen’s campaigns saw 3 of its videos viewed with a combined figure of 15 million times. Small business should make a point of engaging their consumers through video marketing and if they are impressed, they will most probably share them with others. Video will make viewers spend more time on your website and in turn spend more time viewing your brand. For any SEO exercise or social media campaign, video is undeniably the best tool to employ since it creates a buzz faster than any other medium. In addition to this, it helps in building brand awareness and credibility. People are likely to engage more with video than any other medium. This is because they can share, like or plus it in turn, serving as a strong indicator for SEO since it sends social signals to various search engines. Its impact on trends in business activities. Forrester’s researches say that 1 minute of a video is worth about 1.8 million words. Furthermore, Axonn Research found out that after watching impressive and informative video from a specific brand, 7 in every 10 people viewed it more positively. Video is more engaging than any other medium and with today’s information overload, it is imperative of small businesses to provide easy-to-digest content, otherwise, consumers will move on. It’s effective in small businesses since production costs have been greatly reduced in recent years. Unlike in the past, you are no longer required to have special skills to use it. Applications such as Twitter’s Vine have largely increased the opportunities for business that work with a limited budget. Success tips that you should know. Before coming up with video content, firstly consider your target audience and whether your video is relevant to their needs. If it is not the best means of communication with your audience, you should start looking for other media that you can employ. Also make use of the social media and promote your content across multiple channels. To fully realize the potential of video, you have to ensure it can be easily found and shared by users. Do not neglect mobile. Video plays on mobiles and tablets are increasingly becoming popular. The cost of production can only be covered through creativity. Make a point of being creative in both the video and your whole marketing strategy that will is built around it. Once you get these few things right, video will be your future in content marketing.